(Newser) – "Call the cops, my boyfriend is threatening me. He has a gun. Please don't let him know." So wrote a Florida woman in a note she handed to her dog's veterinarian Saturday in a highly stressful situation, authorities tell ABC News. Seems the boyfriend, convicted felon Jeremy Floyd, was standing beside her with a concealed and loaded weapon. 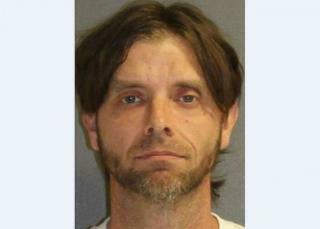 Luckily the vet notified police in Deland, Fla., who showed up and arrested the guy. Authorities say Floyd, 39, had beaten her with his gun in a fight Wednesday, and when they struggled for the weapon two bullets fired harmlessly through a wall, the Orlando Sentinel reports. She’ll be back with him before a fortnight. By coincidence, in the last year a professional vet publication told a similar story from the Doctor's perspective, where he dismissed the woman's pleas as baseless, possibly delusional, and essentially said it was okay to avoid the client and perhaps make her go elsewhere. This is actually criminal negligence, as vets along with teachers, doctors, and other professionals, must report signs and claims of abuse. It is not their job to assess the credibility of the accuser, and obviously in this situation the proper actions kept her from harm. Deland FL is a shithole of the highest order.